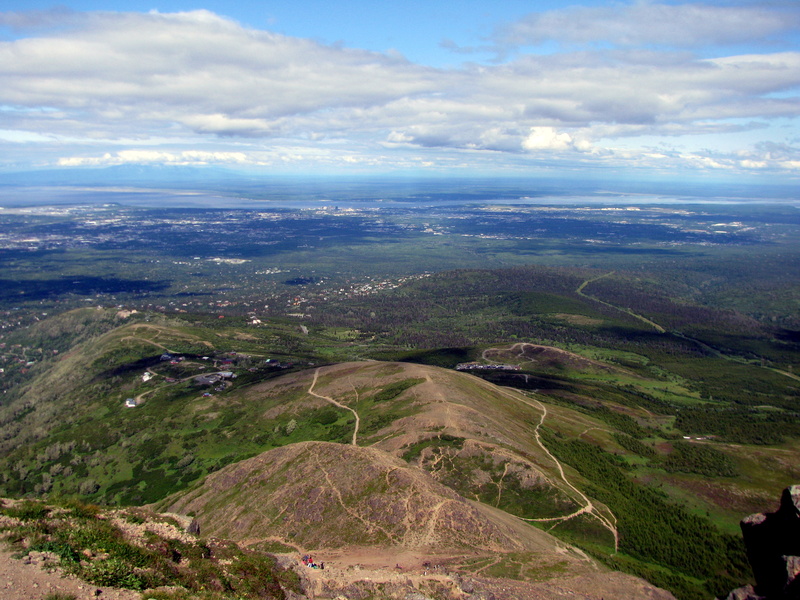 With sprawling views of the municipality of Anchorage, its muddy shores and the eastward mountains, the hike up Flat Top is well worth the crowded climb. Flat Top from the start of the hike. 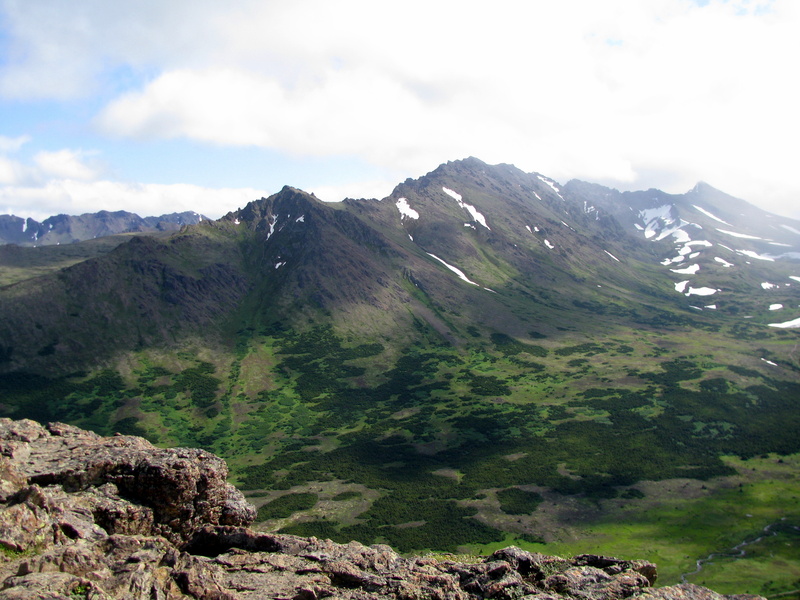 One of the most popular hikes in Alaska because of its close proximity to Anchorage, this 3-mile hike climbs 1250 feet to a flat lookout that gives the perch its name. 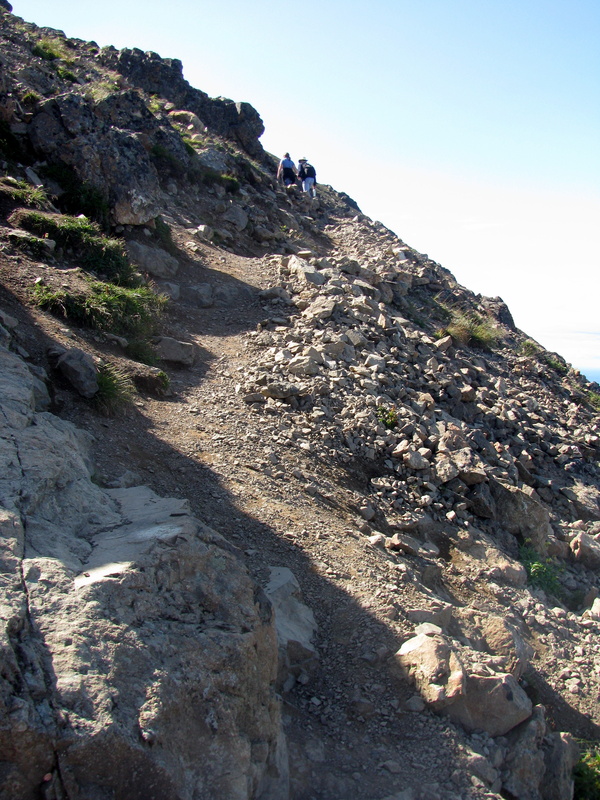 A moderate trail with portions of gravel, wood stairs, switchbacks and a rocky climb to the final lookout, the Flat Top hike is an easy half-day trial for all ages. 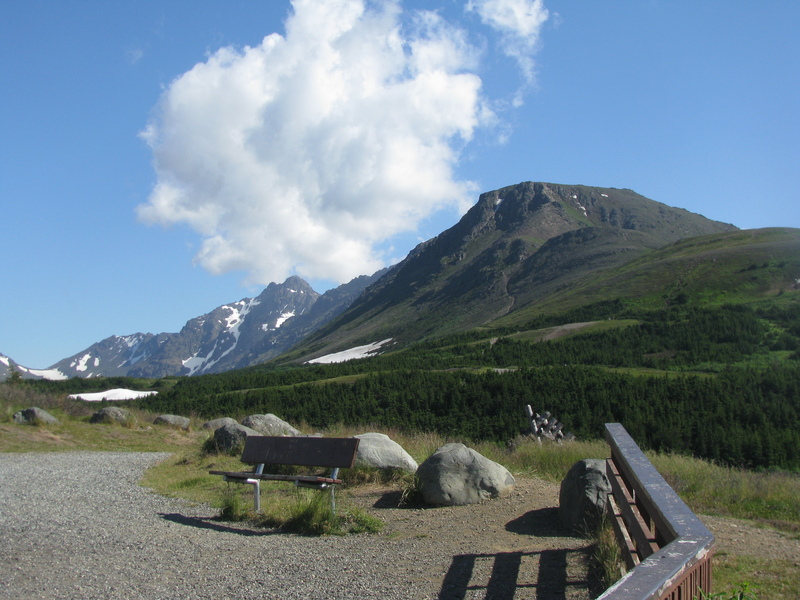 Carved by ancient glaciers, the top surface offers a great refuge for photographers on a clear day to savor in the sweet views of this mountainous state – just be prepared for lots of wind! 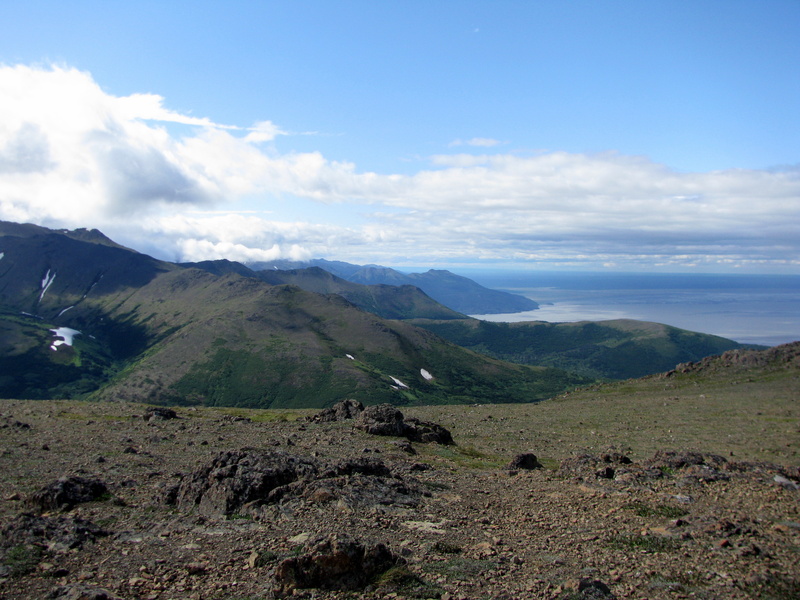 If you are not up for the hike – or don’t have the time- you can also get wonderful views of Anchorage, Flat Top and the valley from the lower parking lot. 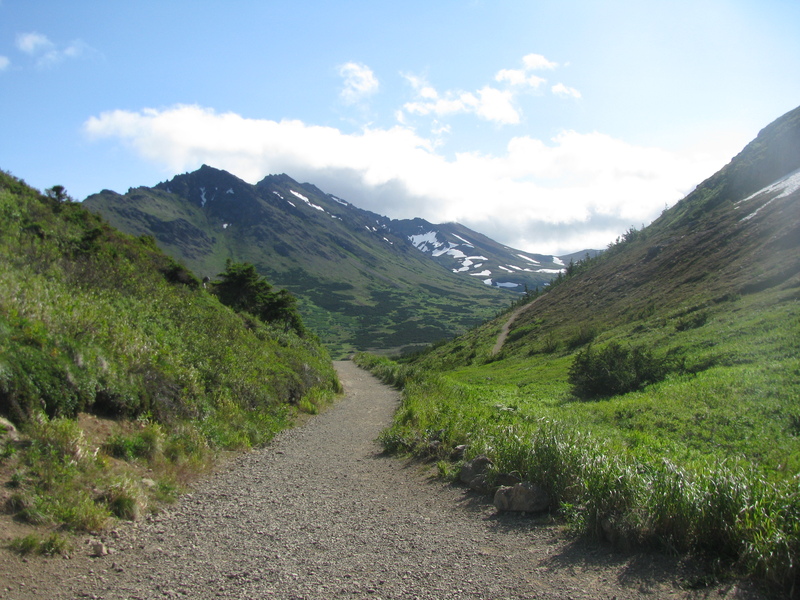 However, be warned that parking is limited for this trail head and the more sun, the more tourists and locals on the trail. 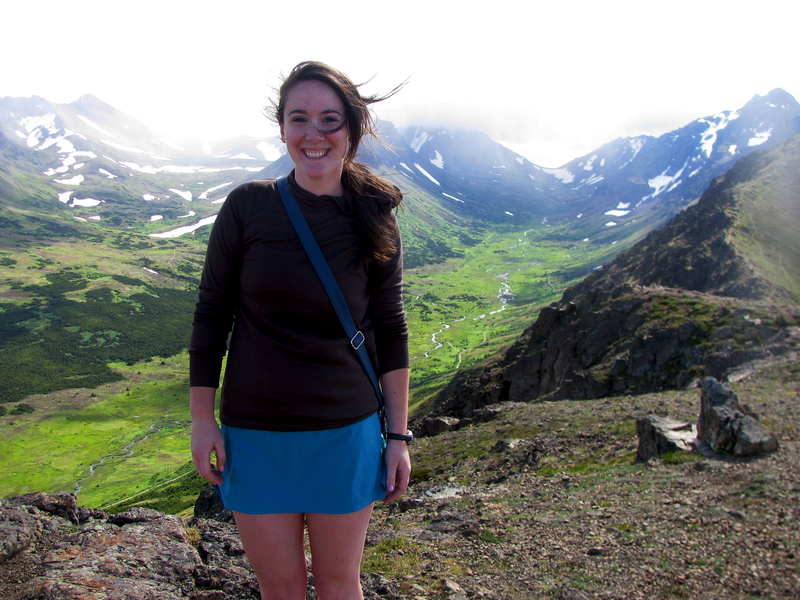 I made it to the top – even with the wind! Just beyond the clouds is the bay.